Playing in the Frank Lerner Division, Mira Costa opens with a home game against Riverside Poly on Thursday (3 p.m.), followed a home contest against Foothill on Saturday (11 a.m.) and an away game at St. John Bosco on Monday (3 p.m.). Action continues on Wednesday at 3 p.m. followed by the championship games on Friday, Feb. 22. Mira Costa’s team features four experienced senior right-handed pitchers led by Christian Bodlovich (6-0, 195), Merrick Baldo (6-1, 190), Jared Karros (6-6, 185) and Robbie Knowles (6-2, 195). Bodlovich was the Bay League’s Pitcher of Year in 2018 while Baldo and Karros were named to the All-Bay League first team. The infield is also loaded with talent led by returning Bay League Most Outstanding Player shortstop Chase Meidroth (5-10, 180). 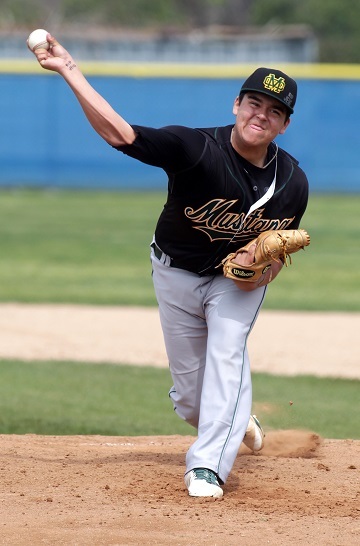 All-league selections Kyle Karros (6-4, 180) and Dylan Dennis (6-1, 195) are the Mustang’s third and second baseman. Senior catcher James Park (6-2, 190) will handle the duties behind the plate while senior Nick Carpino, who quarterbacked Mira Costa’s football team, heads the outfielders while playing center field. Newcomers include sophomores Nick Bacura and Jonah Storey, who play the catcher and outfield/pitcher positions, respectively.